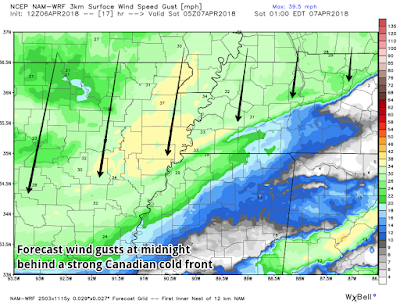 MWN Blog: Saturday morning wintry mix?? 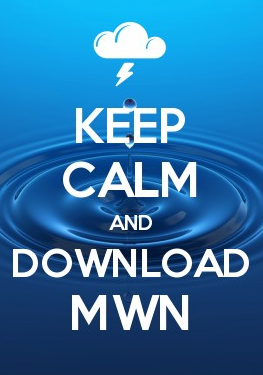 Just a quick update to our blog post from last evening. My discussion on the front arriving tonight is still accurate. Rain is expected to develop soon and linger throughout the afternoon hours, fairly steady at times. The heaviest remains in north MS and our thunder chance is low. The front arrives around 10pm tonight and then things go south from there - including the mild air! 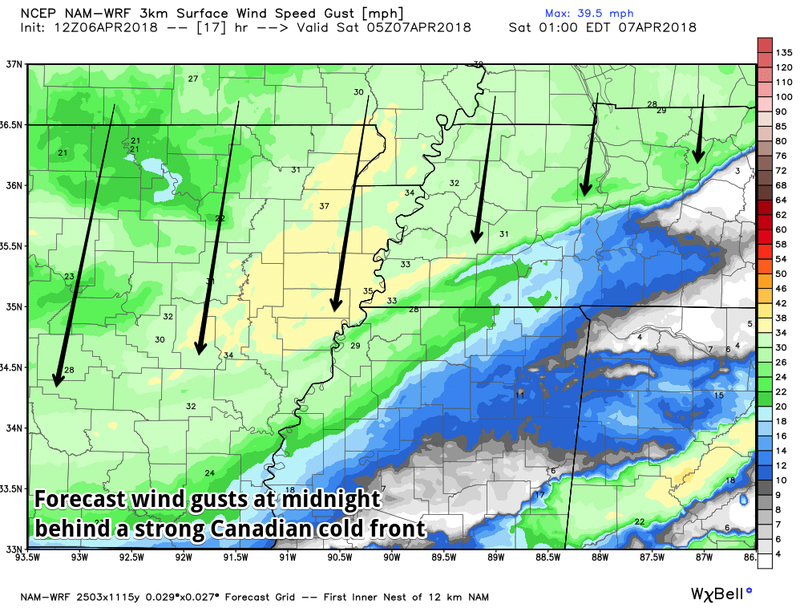 Very gusty north wind will shove the 50s, and the 40s, well down into MS.
An upper level disturbance will move through the region early Saturday morning, bringing another round of light precipitation. Most will fall as cold rain (and I do mean cold - temperatures will be in the 30s with a gusty north wind!). 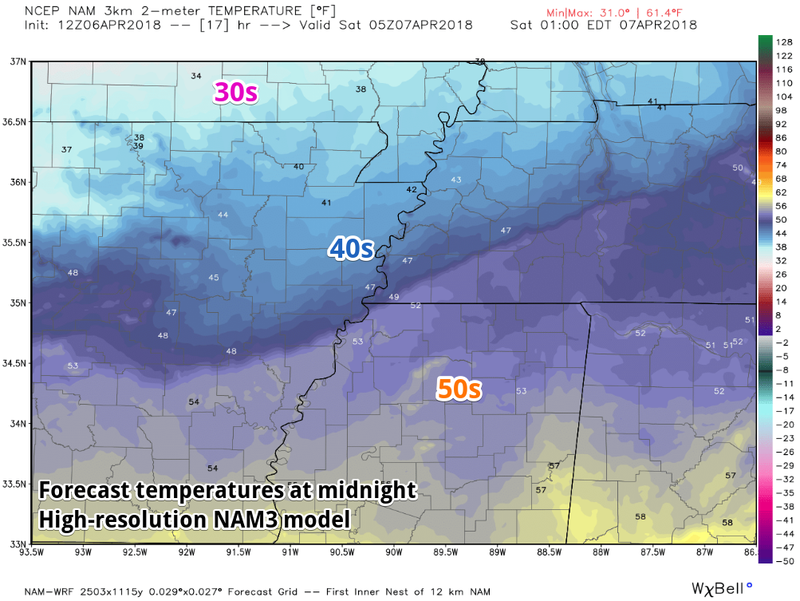 However, despite the metro staying above freezing in the mid 30s, the temperatures aloft will drop below freezing, meaning that some light sleet, or possibly a few snowflakes, could mix with the rain between about 7am-11am Saturday. This very unwelcome early April wintry mix is most likely north of the TN/MS line. The surface temperature may drop to 32° as far south as Tipton County, so a bit of freezing rain is also possible during this period, say around Covington, but not expected further south. I expect temperatures to bottom out at 33-35° along the I-40 corridor. All precipitation that falls will be LIGHT. No model is forecasting more than 0.05" of precipitation during the morning hours, and some of that will be rain. With temperatures above freezing and amounts being very light, little if any impact is expected, other than seeing it fall and thinking... WTH. Temperatures: Lows of 33-35° around 8am. In the 30s all morning long. Not tomorrow. Highs in the mid 40s with a cold north wind. Sunday gets a little better (57°), but not before we all likely reach freezing Sunday morning. Cover the plants one last time. 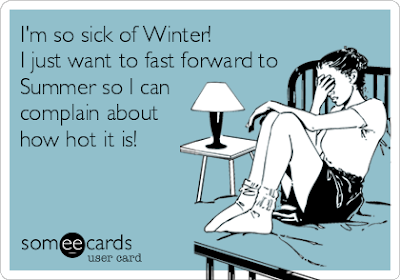 Monday and Tuesday will be in the low to mid 60s. Wednesday we're back to normal at 70°. It gets warmer from there. Let's just get through the weekend. First dry weekend of 2018 enroute!